What is a broken heart but an open heart? It’s been many years since I first heard Ram Dass speak those words. Yet they have stayed with me as a beautiful invitation to find the gift in what is – to take whatever is happening in the moment, sense the opportunity that is waiting, and follow that opportunity to a new awareness or creation. In this way, nothing “goes wrong” – it’s just what happened. Something new is now possible. A new door has opened. It’s another way to practice learning forward. 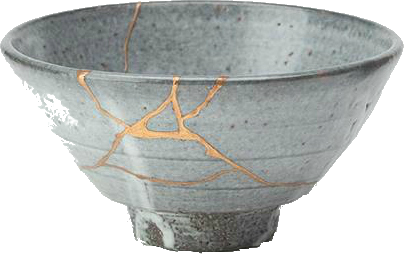 One of our readers recently told me about kintsukuroi, the Japanese art of fixing broken pottery with a lacquer resin that is dusted or mixed with powdered gold, silver, or platinum. You can see an example in the photograph. As a philosophy, kintsukuroi suggests that, rather than trying to hide the fact that something has been broken, the repair becomes a part of the history of the object. In fact, the repair, in one sense, makes the object even more beautiful and valuable than it was before, or beautiful in a different way. Through the repair, a new design or piece of art is created. Kintsukuroi is a beautiful illustration of partnering with what is – of taking the current circumstance, problem, or broken object, and making something even more beautiful out of it. There is nothing to hide – no pretending that nothing happened. Whatever happened has now become a part of the story. Taking the pieces and putting them back together in a new way becomes the next part of the story. The object or circumstance is transformed. Imagine how the idea of kintsukuroi might be applied in your life or leadership. 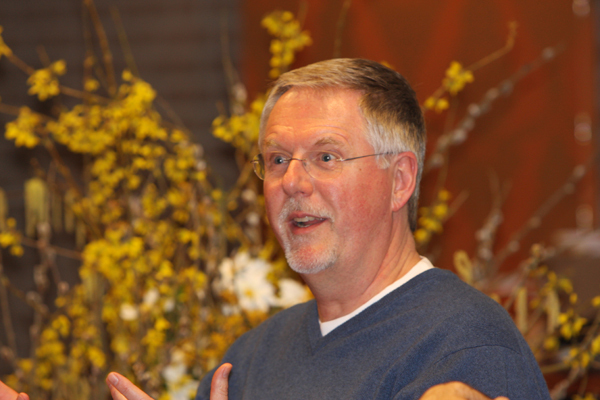 What is the new creation that wants to emerge from a current circumstance? How might you take the “broken pieces” and put them back together in a new way that creates something even more beautiful, amazing, powerful, or useful than before? P.S. To learn more about partnering with what is, see Chapter 17 of my latest book, Create A World That Works. The book is also available in digital format.